Setting up a Cisco router is very easy, especially if you know the router model. 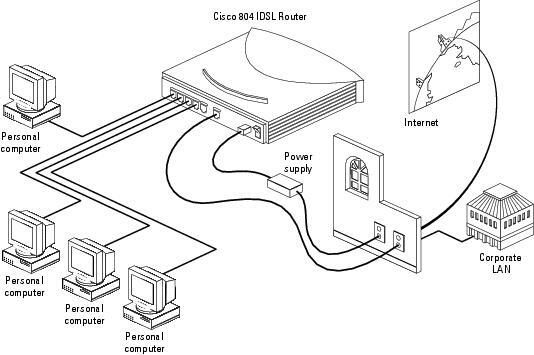 We shall cover 9 basic steps to setting up a Cisco router in this guide. There are many Cisco router models available and you can always go through the manual that accompanies with your router package. If you seem to have misplaced the router manual, you can Google the router model name, number, and search for an online guide. Generally, the process for setting up a Cisco router is same for most devices. Thus, let us have a look at the basic 9 steps to setting up a Cisco router. Another Straight-through Ethernet cable or ADSL cable according to the router model. In order to install the Cisco router, you need first attach the antenna, if provided with the device. If not, then continue with the installation. Connect the router to the PC using an Ethernet cable. Then connect the additional Ethernet cable between the Internet port of the router and the available port on the cable modem or installed DSL. Turn on the broadband modem. Connect the power to the router. When the green LED lights on the front panel of the router flash, it means your router is ready for use. In a web browser, type the default IP address. The default IP address is usually 198.168.1.1. You will be asked for a default username (cisco) and password (cisco). Go to Basic Configuration and enter your SSID and Password. Choose a unique SSID that will be your network name and a password that is strong. Click Next and you will be moving to LAN IP address. Click Next again. On the DHCP screen, click on Enable DHCP server and enter the IP address with Starting IP address as 198.168.10.50 and Ending IP address as 192.168.10.250. Click Next. On WAN Configuration click Next. On Security Configuration screen, make sure all boxes are checked. Click Next. Review your configuration on the Wizard Summary Screen and make sure it is accurate. Now click on Finish. Click OK and save the new configuration. On your computer, search for your SSID and click connect. Enter the password saved and you will be connected to the Internet wirelessly. Disconnect the Ethernet cable that connects your PC with your Router. These are the basic 9 steps to setting up a Cisco router. If you still have trouble, search for the Cisco router model on Google and look for the instructions to solve your query.